Hidden Creek's golf instructional program is designed to help golfers improve their game at any level at a pace that is successful, comfortable and enjoyable. 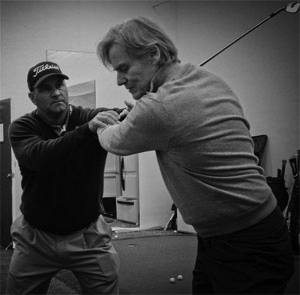 Brendan McGrath, PGA Director of Instruction, is here to handle the needs of every level of golfer. Brendan has taught golfers of all ages and abilities. What makes Hidden Creek's program different is our understanding of what it takes to become a better golfer. Each lesson program is individualized to the student's goals and needs; whether it's to lower your handicap or just eliminate frustration. The cornerstone of Brendan's instruction philosophy centers on the importance of getting the ball in the hole, not just having the “perfect swing”. Students are provided with the necessary tools to overcome the many obstacles that are presented during a round, and by developing these tools, you can become a better player, shoot lower scores and have more fun! At Hidden Creek, the latest teaching technologies, such as individual video analysis, are used to help our students better understand their golf swings. These teaching aids have proven to be very effective in helping our pupils improve their techniques. If you are a beginning golfer who wants to get started in the game, Hidden Creek has just the program for you. If you already know how to play the game and would like to improve your skills, we will help you do so. We set up a specific practice routine that will help you achieve your improvement goals. At Hidden Creek, we frequently hold clinics that focus on the various individual aspects of the game. 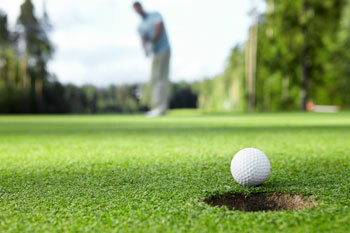 Clinics are offered for both adults and junior golfers and all levels of play. The clinics for our Members include such topics as chipping, putting, full swing, short irons, course management, and golf course etiquette. Our goal is to provide you with the knowledge that will enable you to enjoy the game and sharpen your skills. Hidden Creek also offers clinics for corporations who want their executives and employees to learn more about the game of golf. Golf can be an excellent way to develop business relationships and many corporations are encouraging their employees to use the game as a way of strengthening those ties. This multi-sport program gives Juniors ages 5-12 the opportunity to work with highly regarded experts in their sports all in one organized program. Members and Guests are invited to sign up for 1 or more of the 4 weeks offered during the summer.